Choosing a tile design will help set the atmosphere of a room or an area, whether you want to convey a sophisticated tone or create a fun, relaxing space where people can enjoy themselves. Here are three decisions to make when you choose our Fluted ceramic tile design for your business. Tile Direction- Deciding on which way you want the tiles to be positioned will be the first step because you do not want to pick out multiple colors and then discover it will not work with the pattern you have chosen. Color Range- The Fluted tile design is available in a range of colors. To create a unique look, you can choose more than one color and make your design truly standout. Glazes- When choosing a glaze, you should consider how you want the finished tile to look. 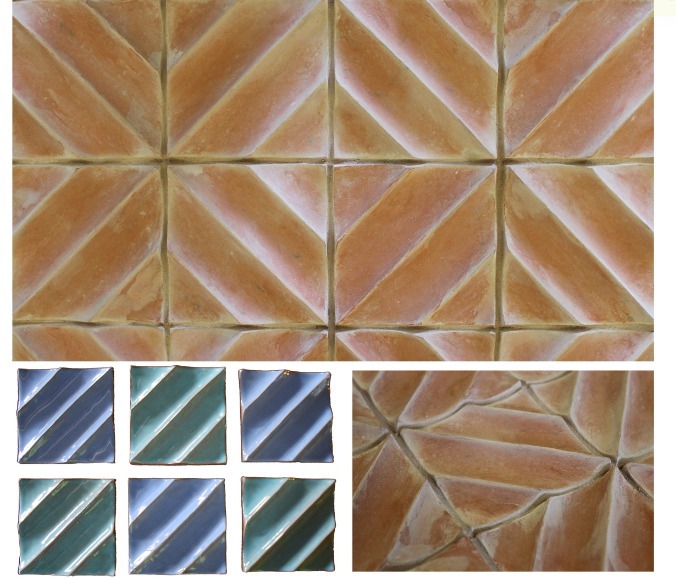 We have glazes that will make these tiles shine or you could choose to have the tiles unglazed. By combining all three of these items, you can have many different design possibilities to choose from, which is ideal for your business. Speak with our staff in person by scheduling a time to walk through our gallery. Give us a call at (412) 904-4040 and get ready to sort through ceramic tile patterns to choose your ideal one.